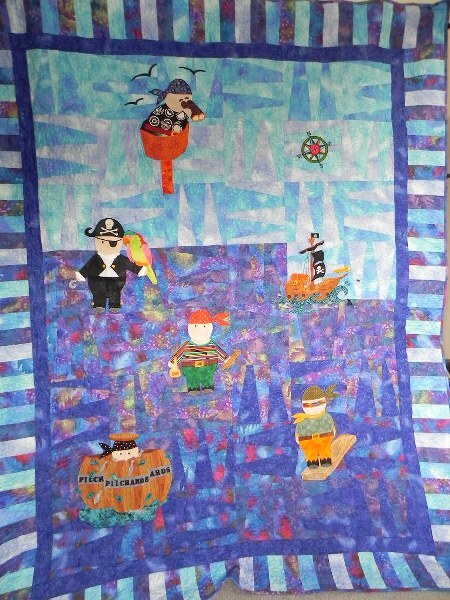 I have finished the pirate quilt. 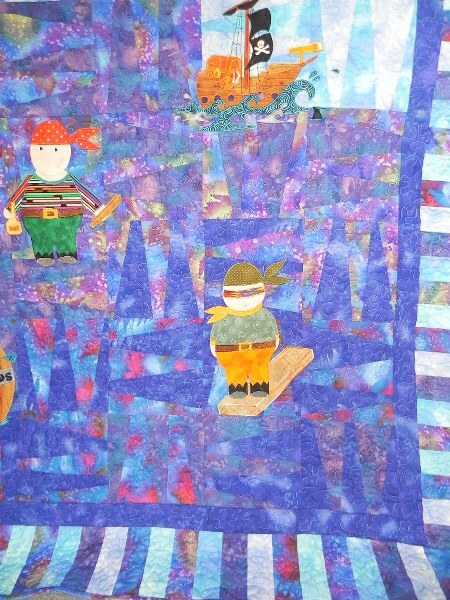 I wasn’t sure I liked it until I quilted it. It is amazing the difference it makes. I am still at the meandering stage. 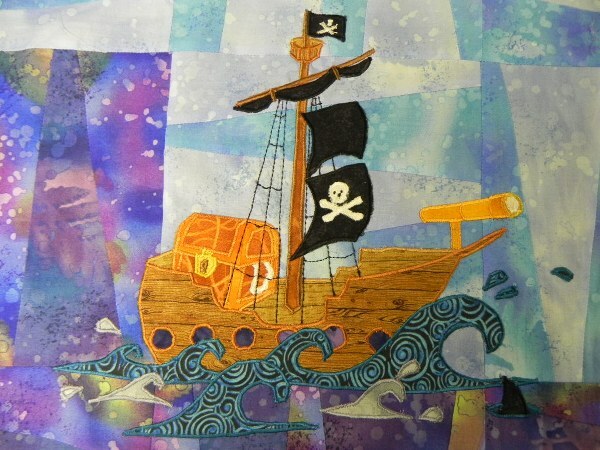 I have lots of fabulous ideas about what I would like to do in the way of quilting. Unfortunately they mostly require the full sized area provided by a long arm machine and frame. 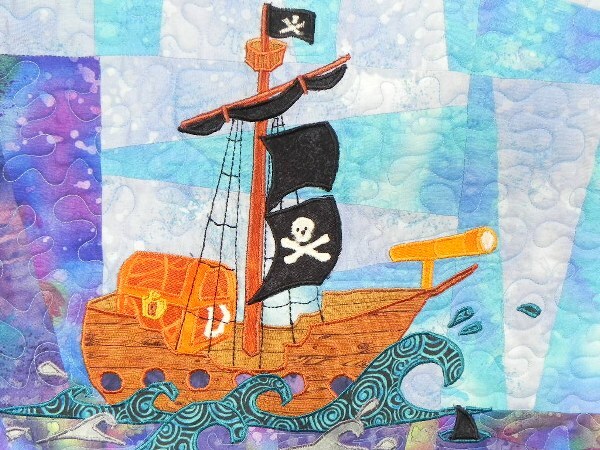 The main problem is that unless you draw everything out in advance you could get to the bottom border and find you can’t repeat the same pattern as you stitched in the top border. 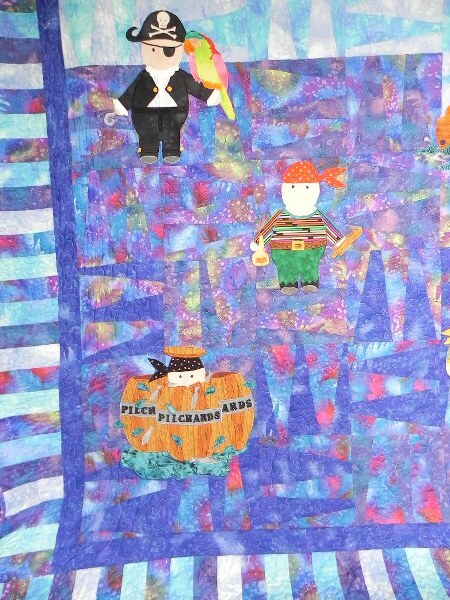 Not only frustrating but also the ruination of the quilt. The reason for this is that as you progress and roll up the quilt under the machine arm the space left on which to work reduces. The only cure is a long-arm setup. Still it beats stitch-in-the-ditch – much more fun. 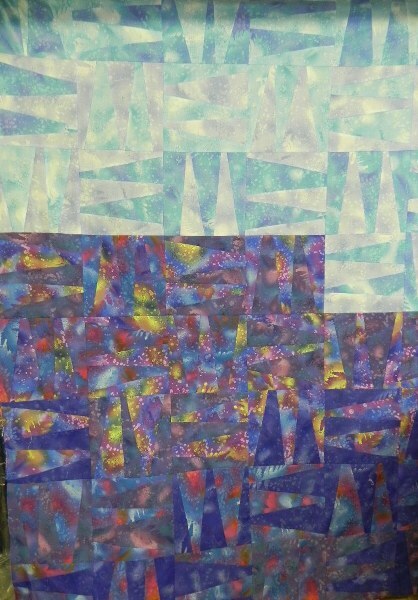 View of the front and back of the quilt. 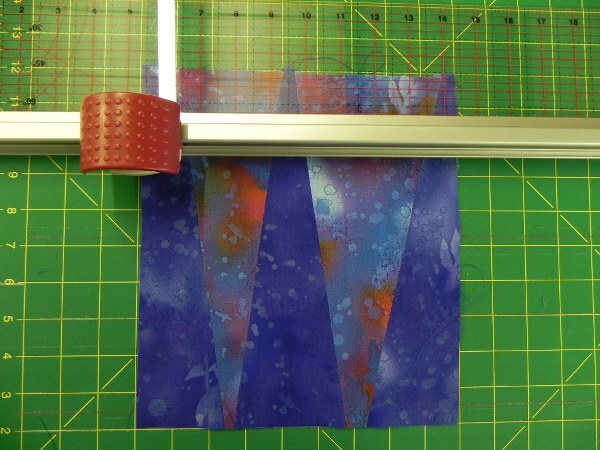 If you are thinking of using a piano key border and loading it onto a frame for quilting it might pay to consider that it may stretch as you roll and quilt so stabilising first will help, otherwise you get a slightly twisted border. 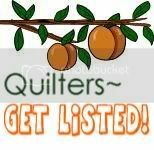 Just a heads up so it doesn’t creep up on you and ruin your quilt. 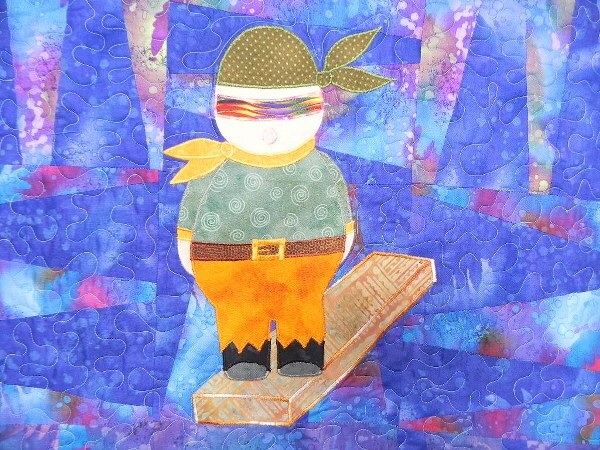 The Captain,the Cabin Boy and a Fishy Tale. The next stage has been reached. 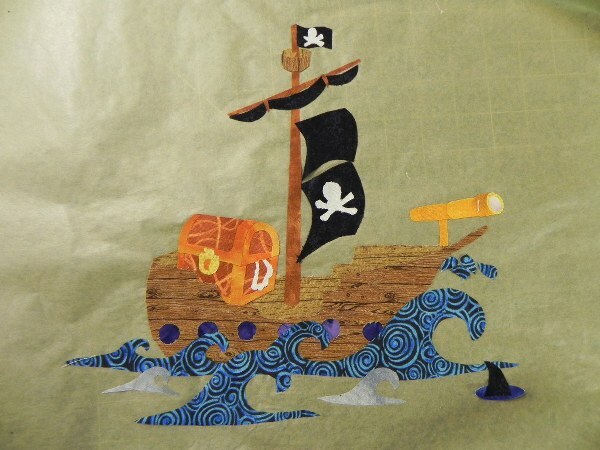 The thing to remember when appliquéing onto a pieced top like this is that there are lots of seams adding thickness. 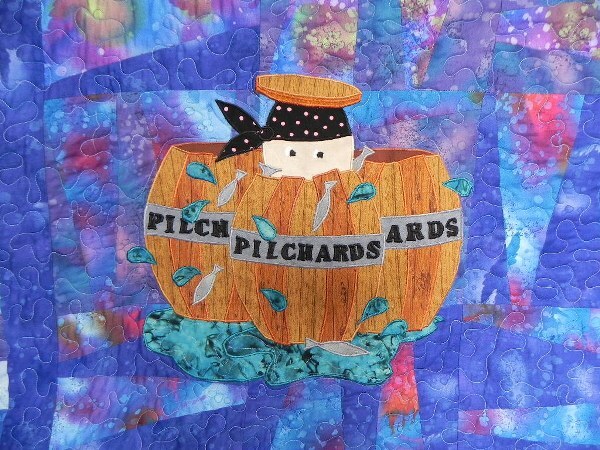 If you find yourself appliquéing onto a pieced top, in order not to give yourself more problems than necessary make sure the stabiliser does not fold over on the back as you are working and so make the thickness even more. My machine gets upset if I give it too much to swallow and starts breaking needles. Some machines will need one layer of stabiliser to produce an easy running satin stitch, some need two. The thickness of stabiliser also has a bearing. 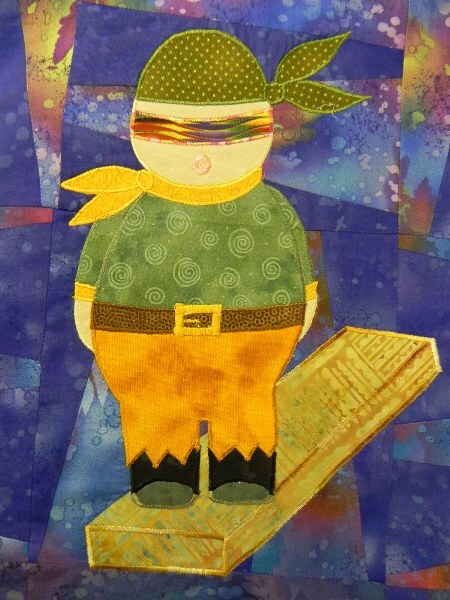 Experiment before letting yourself loose on your precious quilt top and you won’t go far wrong. 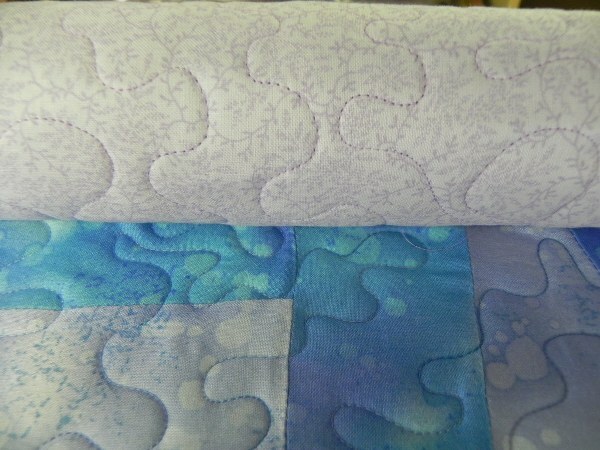 I have now stitched the individual appliqués onto the centre section of the quilt top before adding borders. The Captain and his friend. (Eye eye) Captain. I don’t think he’s having a good day. YoHoHo and a bottle of rum. I can’t see no ships. Just to make the whole thing interesting the bulb decided to go on the machine so I had to swap to a different model. Trust me to buy a machine with a non standard light bulb. I digress. Next I will be deciding on a border. I will keep you posted. 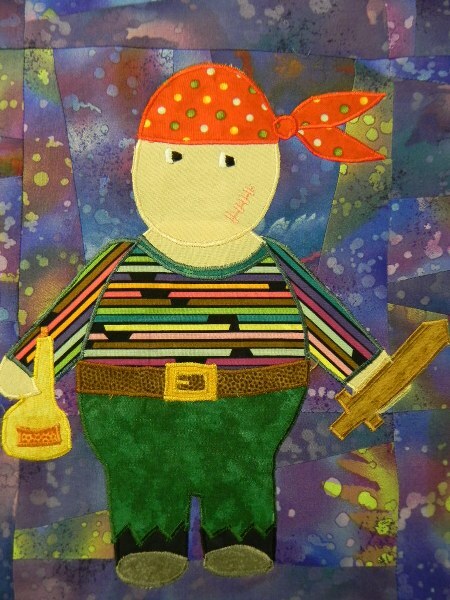 The next quilt is going to feature pirates. I am looking forward to getting my teeth into something new as I have been revamping some of my existing patterns for various reasons. The first decision was what to use as a background. The one I wanted to use, although fantastic for a one-off was not going to go down too well as a pattern. It would have been too complicated and therefore probably not too popular. 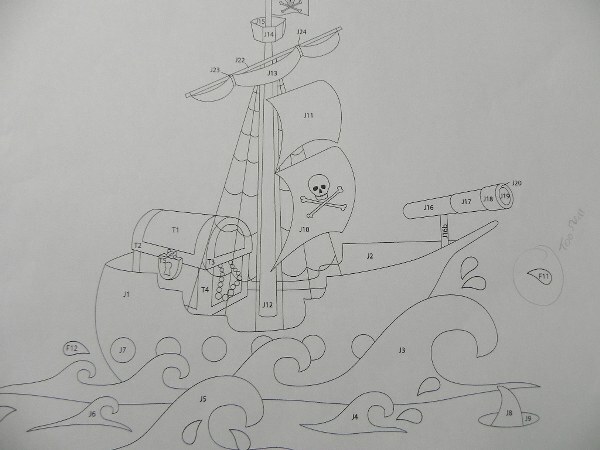 There are a limited number of people out there prepared to attempt the more complicated designs. 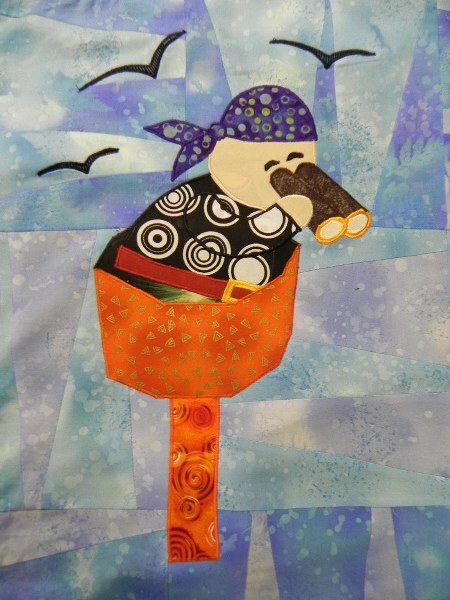 If you make Mckenna Ryan patterns you may disagree but I don’t design art quilts, mine are for using therefore the method of construction used for them has to be more robust and therefore incorporated into the design. If you don’t know her work click on the link. Her designs are beautiful. 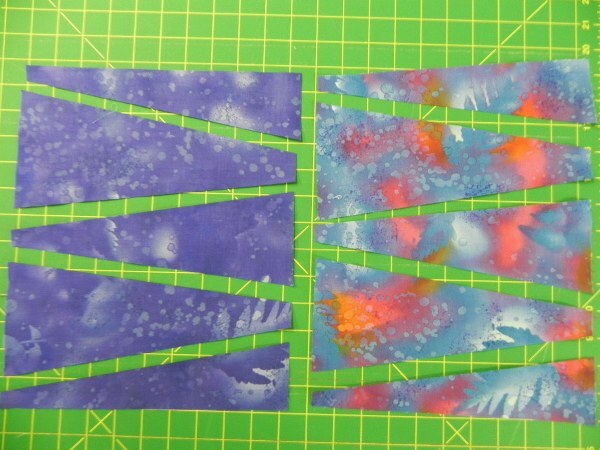 I decide to use a method of construction I have not put into any of my patterns so far. I am including a tutorial for those that would like to copy it. I used combinations of blues to represent sea and sky. I could equally have used greens for an island, browns for sand and blue for sea/sky to make it more detailed. 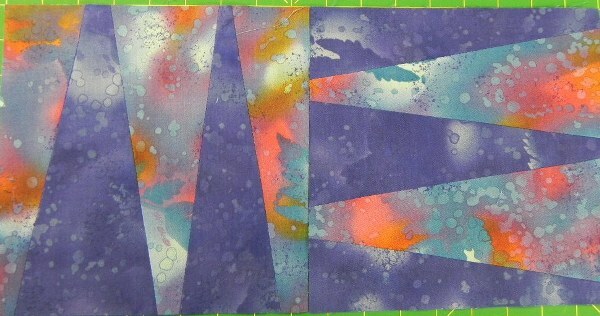 I am going to be using it as a backdrop for several appliques so I decided to keep the background simple. I may experiment with alternatives when I have finished the prototype and am testing the pattern. 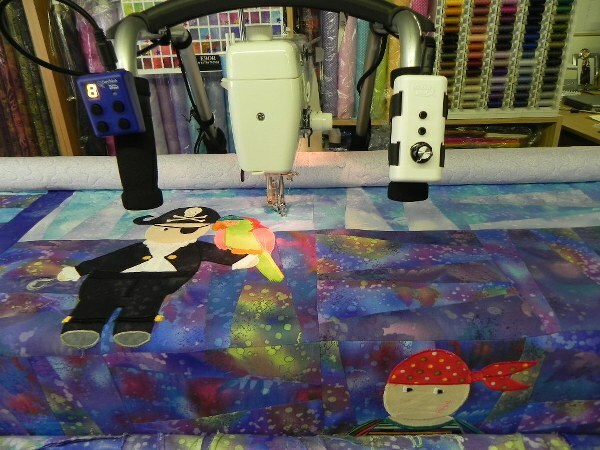 I am aiming at 8″ blocks and therefore each block needs to finish at 8.5″ to include the seam allowances before attaching each block to the next. 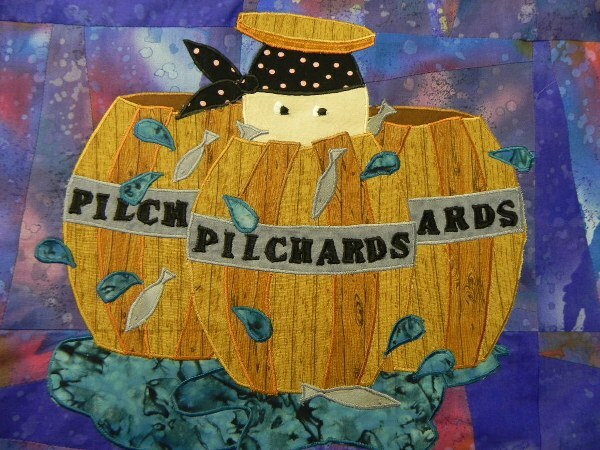 The bigger your starting square the better but a normal width of fabric allows 10.5″ – 11″ squares to be cut without wasting fabric so this is what I did. The size doesn’t have to be exact as long as they are at least the required size. Stack the two fabrics one on top of the other and slicing through both layers cut the shapes shown. They can be as random as you like as long as they are cut together and therefore identical. Identical shapes cut from two squares. This will give you two sets of identical shapes. Swap the second and fourth shapes with each other. Second and fourth shapes swapped. This gives the same two squares but in two different colours. 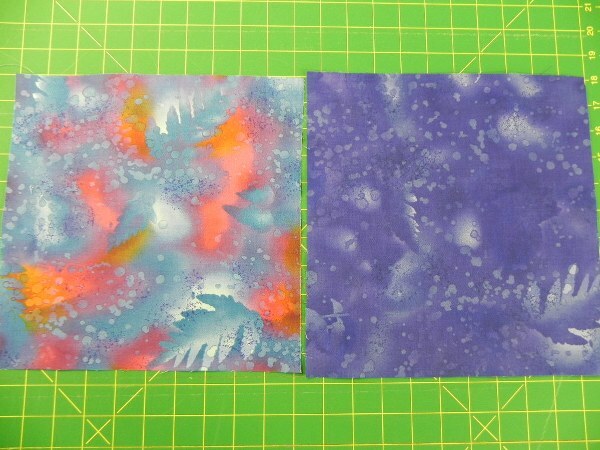 It is important to keep the layout the same as they are going to be sewn back into two identical squares. I can tell you from experience that if you get it wrong the best thing to do is throw it in the scrap bag and go onto the next one. Working out the correct sequence when you have lost it is not easy. This is especially true if it is the second one you are sewing as there is nothing to compare it to. Stitch them back together as shown with a 1/4″ seam. Make sure it is not bigger than that or your square will be too small. There are a lot of seams in each square. Pieces joined together into two shapes. 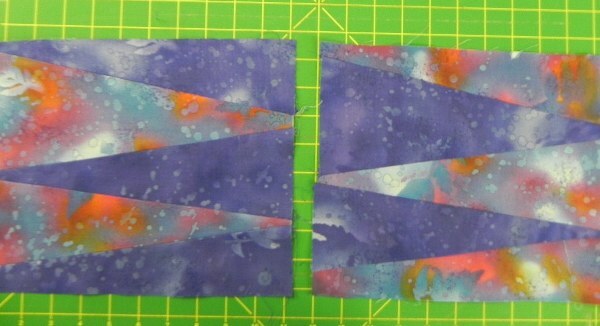 These will not now be squares as you have removed fabric from the width but not the length with the seams. The next stage is to measure the pieces and decide what size you can make the finished blocks. they must all be the same so they need to be trimmed to match the smallest. 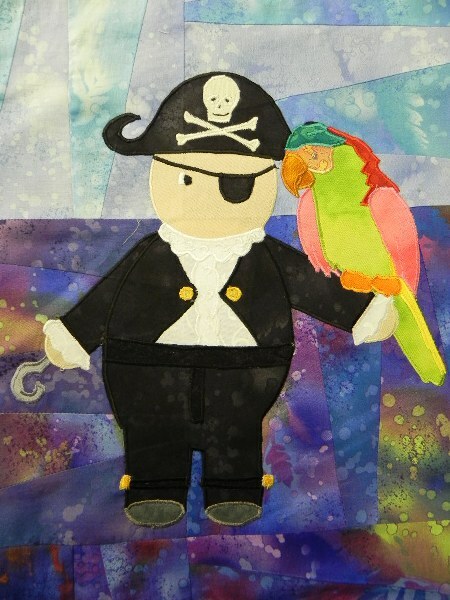 If you have cut and sewn correctly you should be able to trim them to 8.5″. If this is not possible don’t get out the quick unpick. Life is too short to rip a seam. Just trim them all to the nearest measurement you can manage. Whatever this is they must all be the same. I use a ruler and integrated cutter. Much safer than the usual ruler and separate cutter. It also keeps the blade at the right angle. they are not easy to come by but after much searching I found a new one a couple of weeks ago. 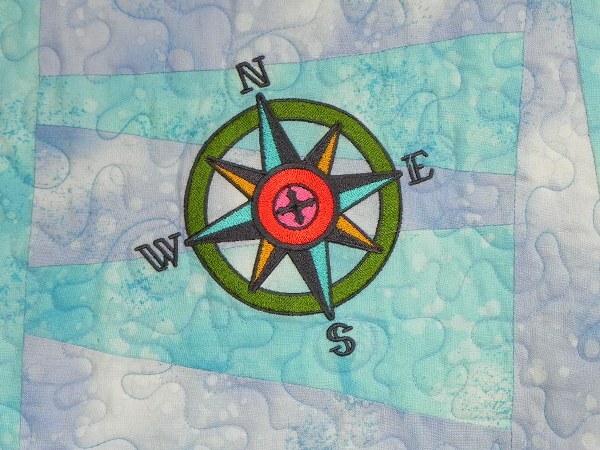 Once you have decided on the layout of your blocks sew them together in alternate directions. 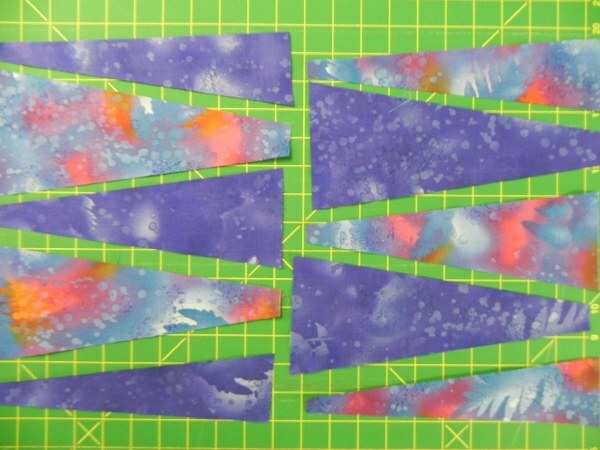 This way you only have to worry about matching the main seam, not all the ones on each triangle. 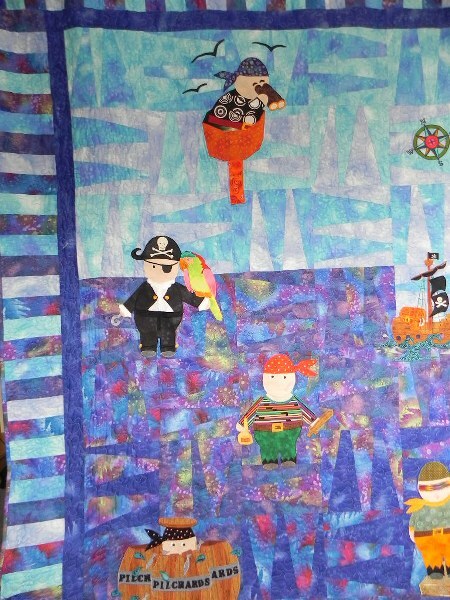 Sew blocks together in alternate directions. 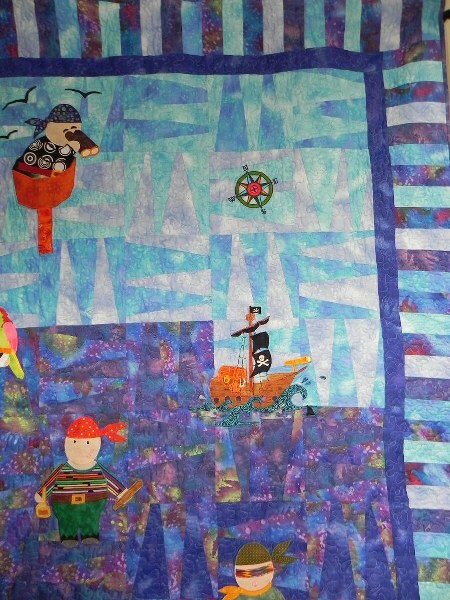 The best way is to sew a row of blocks together then sew rows to each other. 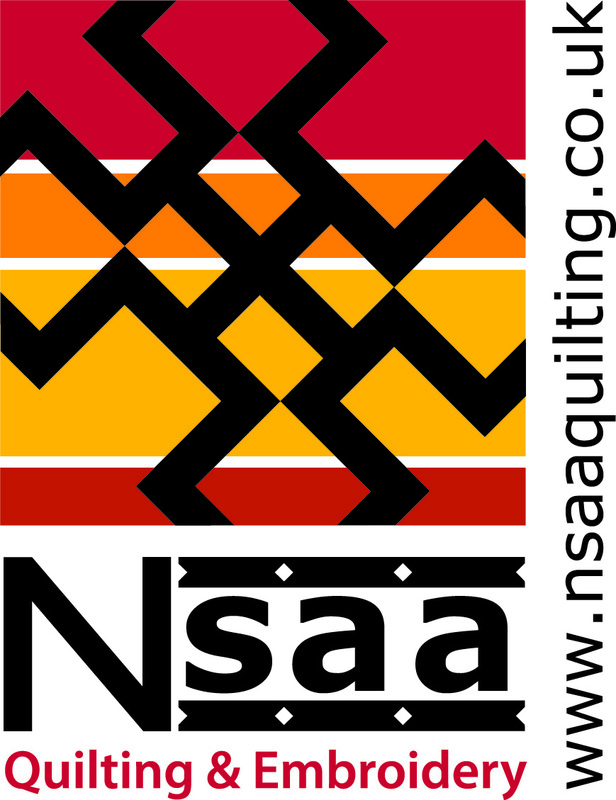 When you come to do this you want to make sure that the seams stay aligned so that your finished quilt does not have badly matched seams. T o make sure put a pin at right-angles to the cross seam through the upward seam making sure they are perfectly aligned. Do not remove this until the seam is sewn. As the pin is at right-angles the needle should skim over it. 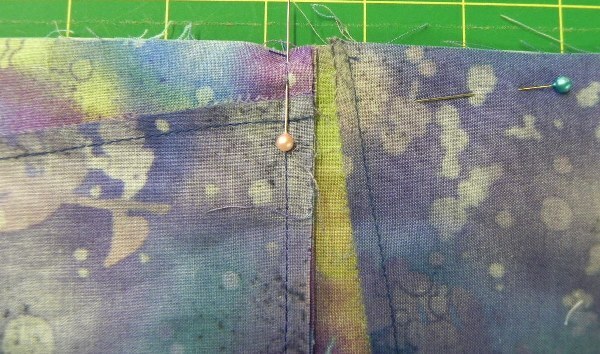 If you are nervous about that use a tacking thread to hold the seams in place before sewing. If your are using an overlocker this will obviously not work, it will damage the blade. The tacking method is a good one when using an overlocker. 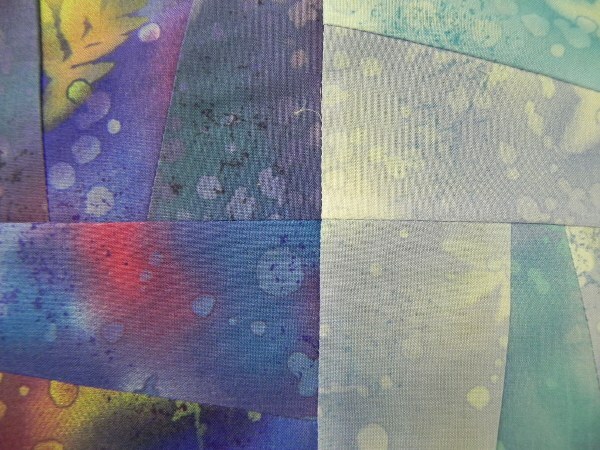 I often do use an overlocker to construct my quilts but as I will be applying appliques to this background I don’t want the seams to impede the sewing of the satin stitch so I am using the tried and tested method instead. This will give you a perfect matching seam. When the rows are sewn together they look like this.